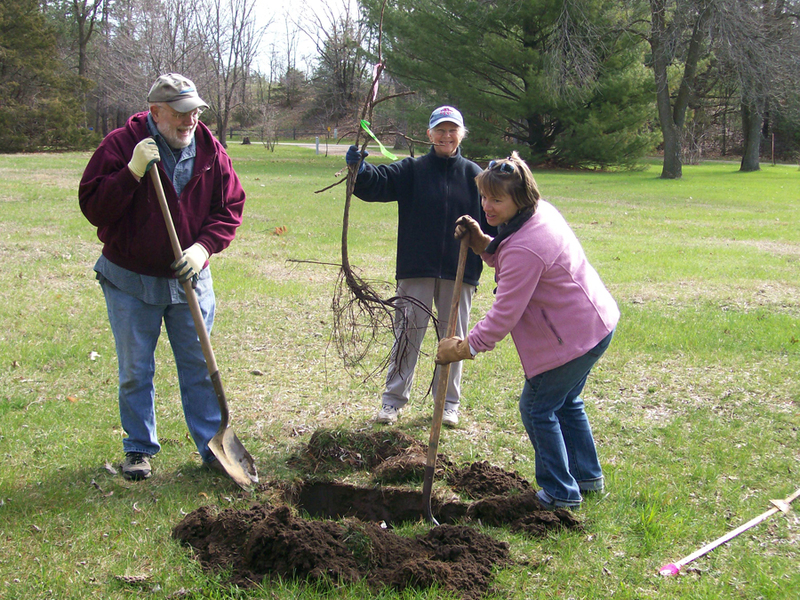 MADISON - People will multiple opportunities to celebrate Earth Day while helping out and enjoying a Wisconsin State Park System property during the 11th annual Work*Play*Earth Day events that will be held around the state. There are 30 different properties holding events on April 13, 20, 22, 27 and May 4 and 11. Volunteer events are sponsored by the Friends of Wisconsin State Parks and Department of Natural Resources properties. This year the Wisconsin State Park System is celebrating the 30th anniversary of the Friends Group partnership program. The formal program to encourage volunteers and outline how citizens can form groups to support the park system properties started in 1989. "The program has blossomed from a few support organizations to 64 Friends Groups that provide thousands of volunteer hours and dollars to help support the mission and activities of the Wisconsin state parks, forests, trails, and recreation areas" said Janet Hutchens, volunteer coordinator for the Wisconsin State Park System. "This celebration includes the efforts of each individual, past and present, who has helped grow the statewide friends program and foster local partnerships in his/her community. All of these efforts have a resulted in lasting enhancements, increased awareness, and continued support for the Wisconsin State Park System." Hutchens said the success of this annual event, Work*Play*Earth Day, supported by the Friends of Wisconsin State Parks umbrella organization, is just another example of the dedication of Friends Groups to help improve the visitor experience and engage more citizens in the care of the park system. Last year 950 volunteers participated donating more than 3,240 hours at 28 different events. In addition to tree planting, other activities taking place around the state include installing benches, removing invasive plants, painting picnic tables and other structures, raking and cleaning up leaves and picking up litter. Lunches or refreshments are often provided by the many park friends groups that help sponsor these events. Hours vary by event, but most begin either at 9 or 10 a.m. and run through noon or early afternoon. 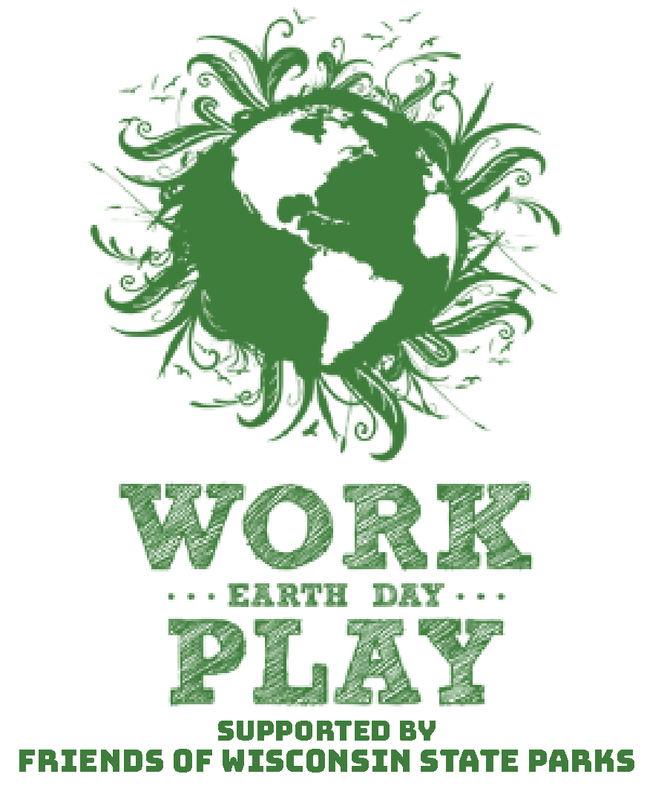 For complete details, search the DNR website, dnr.wi.gov, for "Work Play Earth Day." 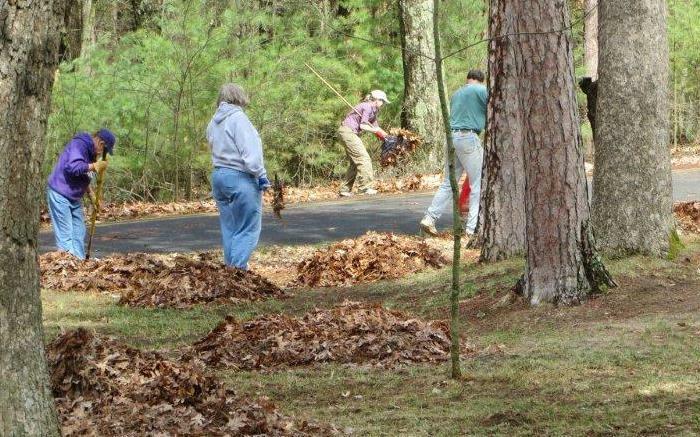 "When the work is done, volunteers join staff in hiking or biking park trails, visiting nature centers or interpretive displays, or enjoying any of the recreational opportunities available at the different properties," Hutchens said.